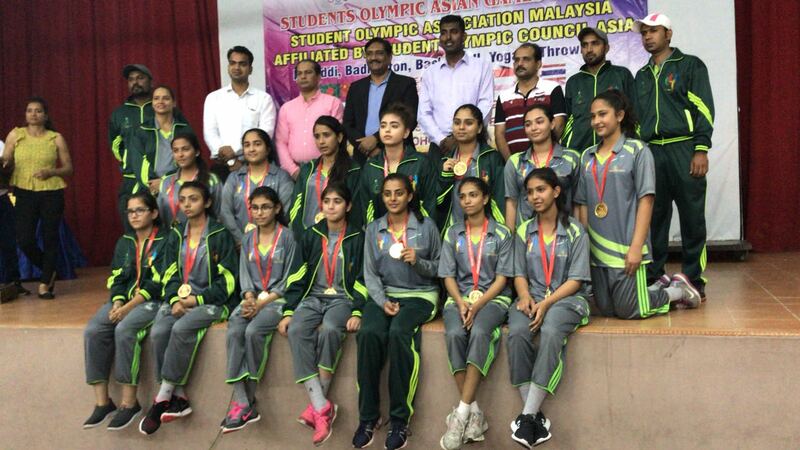 Both the girl and boy teams of Pakistan won the Throwball event while participating in the Student Olympic Asian Championship 2017, held in Johar Bahru, Malaysia. The girls team of Pakistan before winning the final defeated India and Malaysia in the first and second matches respectively. The final was played against India and won with match set score of 2-0. The boys also won the gold after playing a very competitive match with arch rivals India. Pakistan Boys team beat Malaysia 25-29, 25-23. Pakistan Girls team beat India 25-15, 25-16.